Veteran's Day - Mann & Watters Insurance Inc.
My father, pictured below, was a Veteran of the Korean War and WWII. 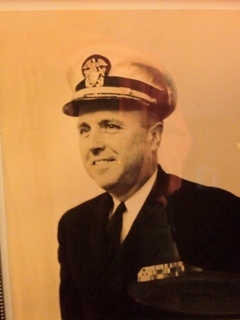 He was a Captain in the Naval Supply Corp. He retired from the Navy after twenty-some years. As I am the youngest of his five children, I don’t remember much of the Navy life as he was soon into his second career when I was young. He really never talked to us about the war, but I know he was very proud of his service to his country. I am also proud of his service, and thankful for the multitude of others who have served.